Our healthcare system can be hard to navigate and understand. 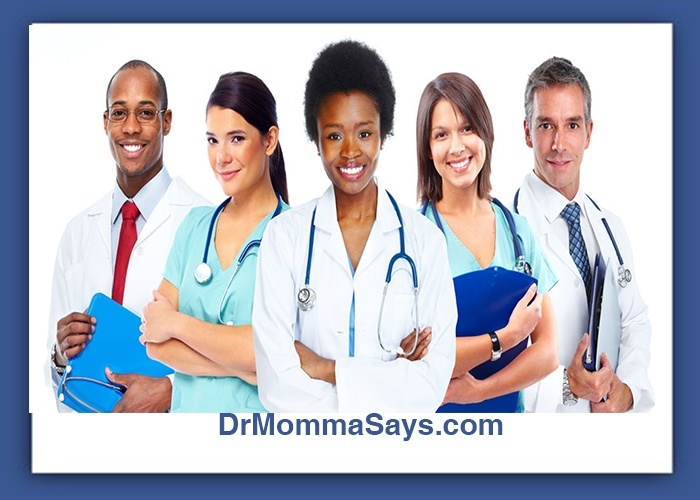 In my previous post, I highlighted the basic types of medical care available to your child. 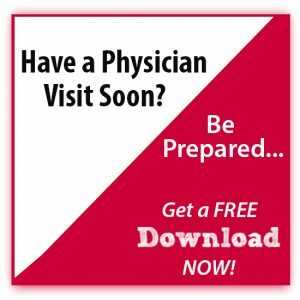 Another post explained the different type of physician visits and discussed what each visit provides. Many people only need to be seen by primary care providers; however, others will need to see a specialist physician. It is important to fully understand what the role of the specialist is because that role may be different from what you expect. A specialist physician in a particular field of medicine has taken additional training to become really good at managing a special area of the body. 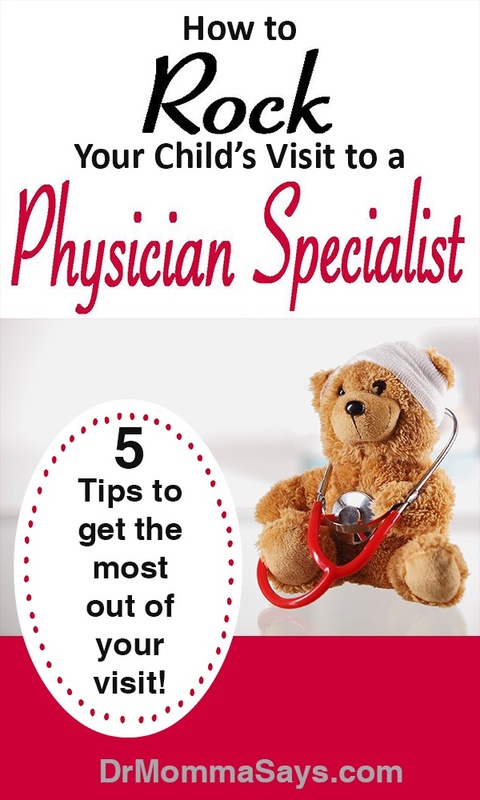 If your child has been referred to a specialty physician, it means the problem your child is facing has not responded well to initial management by the pediatrician. A referral means it is time for someone who manages this specific area to determine the next course of therapy. When you arrive with your child to meet the specialist, you will need to share the details of the problem This history includes all medications that have been used and any procedures, blood work or x-rays that have been done. This information is vital for specialists to avoid repeating what has already been done. Many times when a pediatrician makes a referral, there are several options for the next course of treatment. Parents should not assume that a surgery or procedure or test will be recommended on that visit. Specialists understand that many parents are frustrated with the lack of improvement in their child’s medical problem. However, specialists must still take the time to make their own assessment before a recommendation is made. Despite your frustration, I recommend you avoid saying any of the following statements to your specialist physician. 1. I don’t know why I am here. The pediatrician just recommended a specialist check out my child. Just no. This is never the case. Parents must report the symptoms that caused their child to be seen. You may not know what the next treatments steps include; however, you can help by telling us what you would like treated. Physicians may find problems which do not address your concerns; consequently, we need your guidance before proceeding. 2. I don’t know my child’s medical history. My pediatrician puts all the notes in the computer. Can’t you just look at the notes online? If your pediatrician and specialist physician belong to the same large hospital network, they will be sharing the same medical record system. In this situation, the specialist most certain will access the pediatric notes. However, if the pediatrician or the specialist is in private practice or work for different hospital systems, you will need a copy of the medical records to send or carry with you to the office. Medical records are confidential and physicians cannot access the records without your written permission. The other option includes you reporting a summary of what has been happening. 3. Why are we discussing this information? I have been working with the pediatrician already. I am only here to schedule surgery. Actually, pediatricians refer patients for specialist consultations and leave further management to us. Specialist physicians process information differently than primary care physicians; thus, we may interpret the results differently. Parents must allow specialists the time to understand what has been done and assess those results before recommending surgery. 4. The only reason I want my child to have surgery is that I don’t want to give my child medications anymore. During your consultation, the specialist will let you know what to expect after surgery. Please pay attention to the risks and benefits that are discussed before surgery is performed. 5. 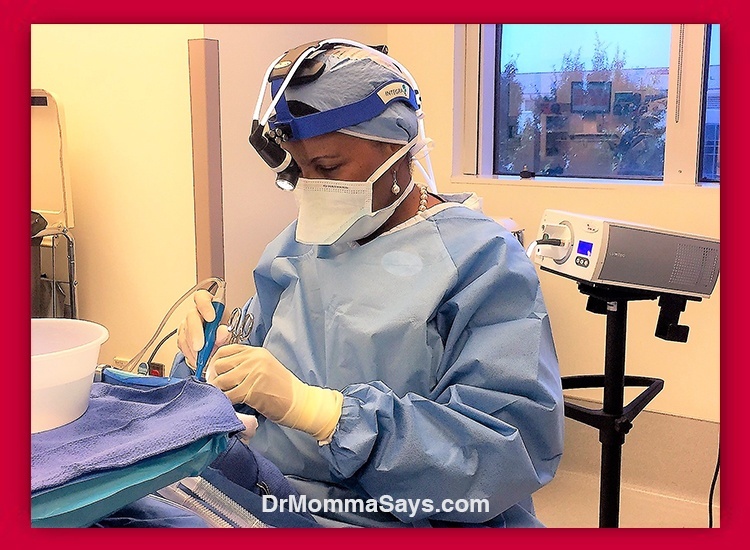 I do not want my child to have surgery. I am only here because my pediatrician recommended it. No matter what you say, I am not going to agree to it. Please understand that the first visit with a specialist is a consultation. Surgery has not even been recommended! There is not a good reason to become confrontational with the surgeon before the history is obtained, an examination is done and a recommendation is given. You always have the right to refuse surgery or additional medications. However, if you made the effort to come to the specialist’s office, please allow the visit to proceed before you announce your final plans. 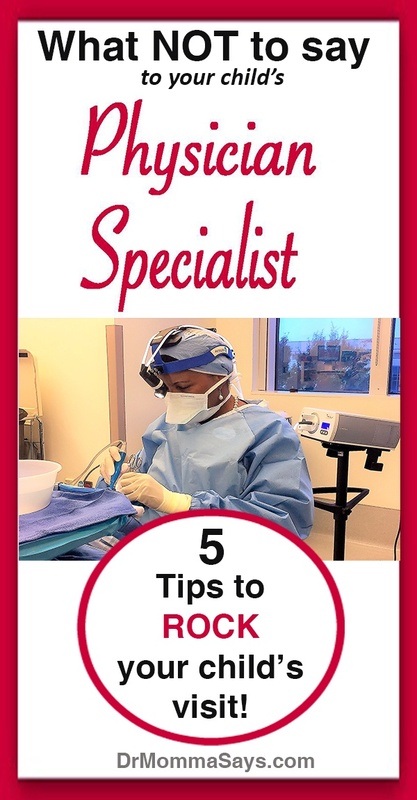 Specialists represent an important part of the healthcare team and it is very important to understand how to get the most out of a visit with them. I work for a large orthopedic group and SO many patients that are referred to us to consult with an orthopedic surgeon literally ask to schedule surgery sight unseen. It’s mind-boggling. Like you don’t want to know who’s going to cut you open or if that’s the right surgery? Yes! I also have patients who schedule their initial consultation appointment and want to match their schedule to my surgery openings before I met them. So glad that these tips ring true for other physician groups as well! It definitely does ring true with other groups! It’s always mind-boggling to me. I want to know the surgeon, the course of action, and just talk about it before proceeding. Heck, my daughter has had SEVERAL surgeries after a severe traumatic brain injury and I want to talk to the surgeons and specialists. I want to know YOU as the treating physician! I just can’t understand the whole “Let’s do surgery before meeting” mindset. I would tell our patients- your insurance company most likely won’t approve a surgery without a consultation unless it’s an emergency. Love this! You would think all parents want to interview their doctors, size them up, assess their information prior to surgery. But many are just ready to move forward. 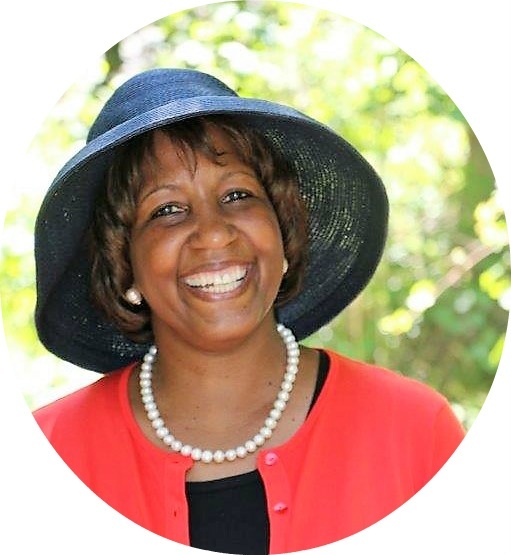 It is important to have a clear plan so we are all on the same page!